SAVE THE DATE! 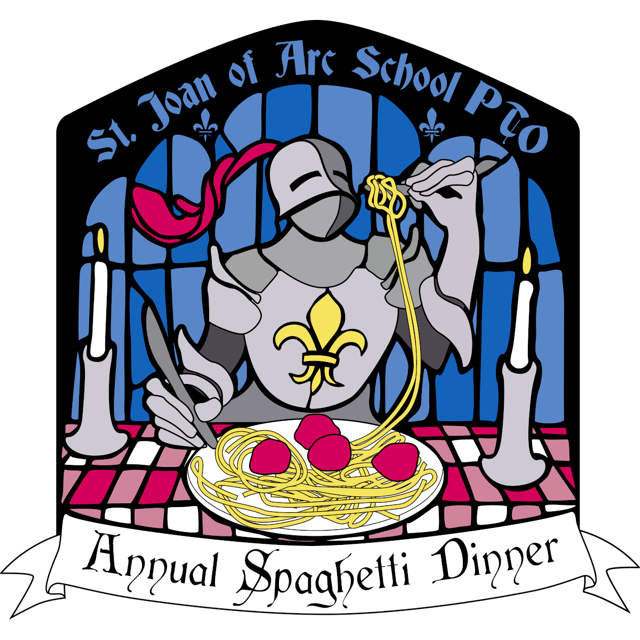 Saint Joan of Arc School, will hold its Annual PTO Spaghetti Dinner on Saturday, November 17th in the school cafeteria. The evening will be filled with live entertainment, fabulous basket raffles, delicious food and fellowship. Dinner includes a tossed salad, Italian bread, spaghetti and meatballs, dessert and choice of beverage. Tickets are $9 for adults, $5 for children, ages 3-14, and free for children under 3. Meatballs-To-Go will be available , 6/$6 or 12/$10. Dine-in (4pm-8pm) or Take-Out (4pm-7pm). TICKETS WILL GO ON SALE STARTING ON MONDAY, OCTOBER 30TH. Soda donations are also needed and cases/sleeves can be dropped off at school office BEGINNING THE FIRST WEEK OF NOVEMBER (brand name, cans only please)! Please see attached fliers/order forms. The famous Spaghetti Dinner is a wonderful evening of food and socializing where the cafeteria is transformed into an Italian restaurant! Delicious dinners are served and takeout is available. It's our major fundraising event and lots of fun to attend!